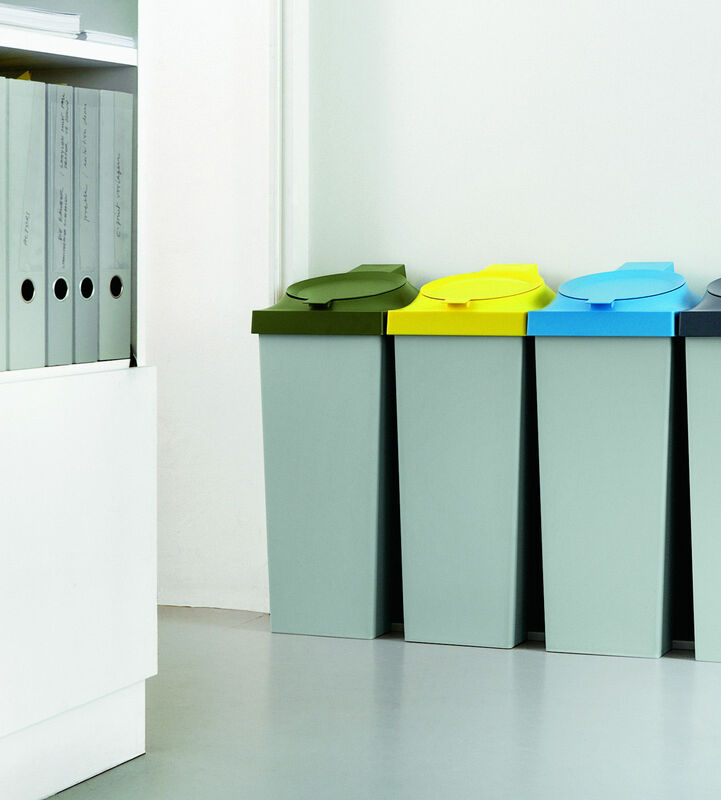 The Top waste management system by Konstantin Grcic can be used either as an individual waste bin or as a complete system for the separation of plastic, glass, paper and biodegradable or non-recyclable waste. Top is extremly slender and graceful. 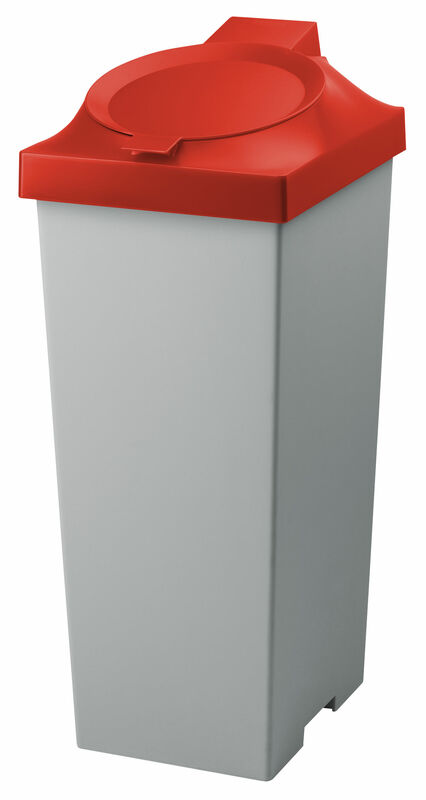 Any number of waste bins can be placed together in a row ans stabilised by connectors. 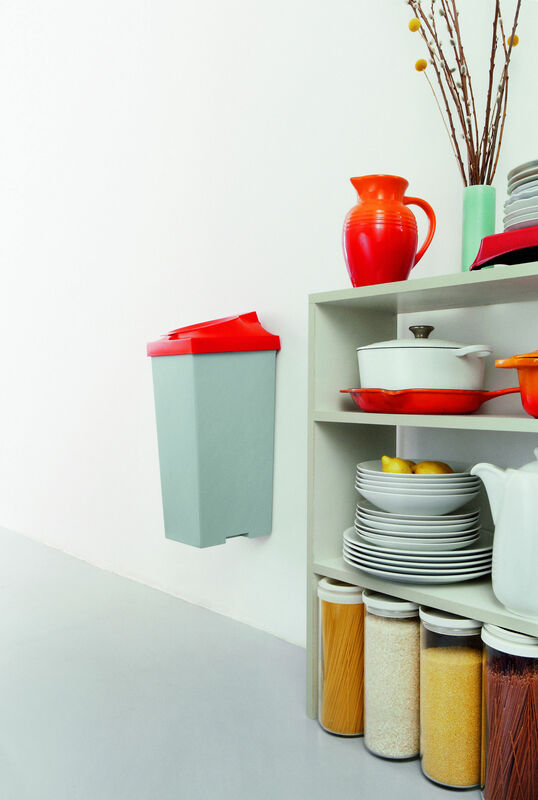 Whether standing on the floor or affixed to the wall, within little more than a metre, Top separates more than 100 litres of wast. 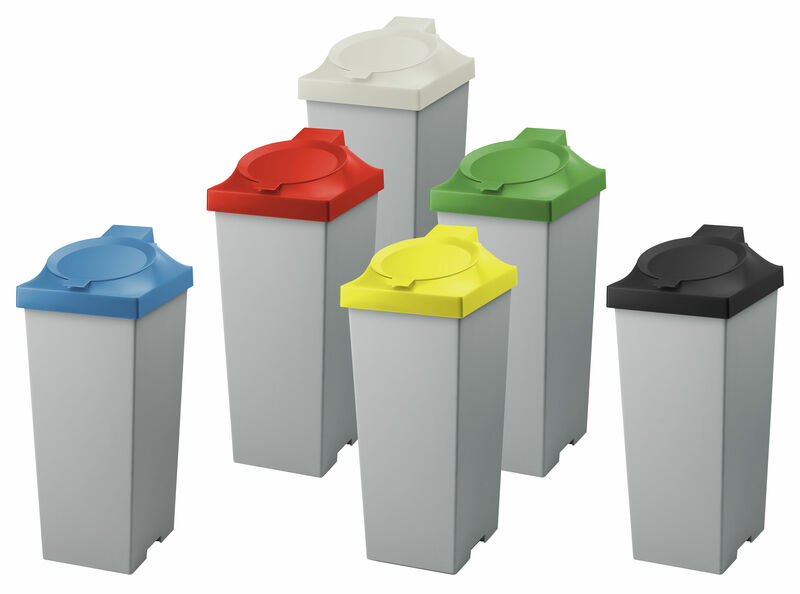 The lids of the light grey plastic bins not only cover up the bags but also identify the contents of each with their different respective colours. 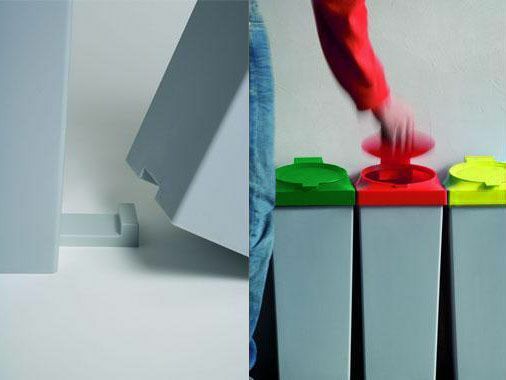 Top can be easily operated with one hand : by slightly lifting the lid by the handle, it opens automatically, with another simple movement it closes again.